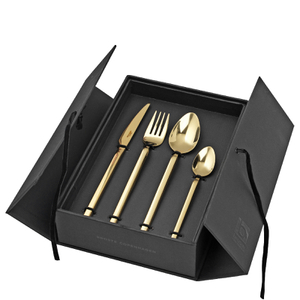 Constructed from premium stainless steel in an on-trend rose gold finish, the Hune cutlery set from Scandinavian interior designers Broste Copenhagen is a 16-piece collection comprising four table knives, four table forks, four dessert spoons and four teaspoons. 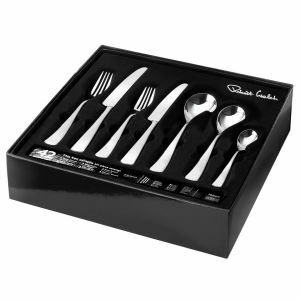 Each piece has been expertly crafted and perfectly proportioned, featuring ergonomic curves and a simplistic yet timeless design that will add a refined touch to any tableware range. 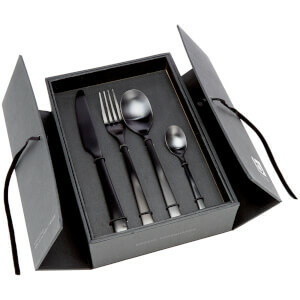 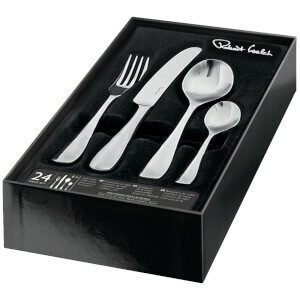 Presented in a stylish gift box, the dishwasher-safe Hune cutlery set makes an ideal birthday or house-warming present.